Mar-a-Lago Club, Palm Beach, Florida, in 2007. PALM BEACH, Fla. — In recent years, George and Izabela Buff have watched as more tides climb the sea walls, seep across the manicured greens, and creep toward the hedgerows, ever closer to their columned home. Few places are as vulnerable to the rising seas as this tony barrier island, a narrow, 16-mile strip of sprawling estates and pampered gardens between the Atlantic Ocean and Lake Worth. The advancing ocean has already cost residents here millions of dollars, and will probably exact a far greater toll in the years to come, town officials say. Around Mar-a-Lago, Trump’s opulent estate here, rising sea levels are largely seen as a present danger, not a distant risk. To defend themselves, residents have stationed powerful pumps around the island, required higher sea walls, commissioned vulnerability studies, and most recently, launched a $100 million project to reduce beach erosion. In South Florida, scientists are warning public officials to plan for nearly 7 feet or more of sea level rise by the end of the century, a nightmare prospect that would effectively drown most of Palm Beach and make Mar-a-Lago a kind of Atlantis. For the Buffs, who settled here after visiting regularly for three decades, the dangers of rising seas are far from hypothetical. The Buffs and other neighbors hope Trump recognizes the potential peril as well, especially to his crescent-shaped, Mediterranean-style villa a block away. Called Mar-a-Lago because it extends from the ocean to the lake, the landmark is especially vulnerable to the climate change the president-elect derides. 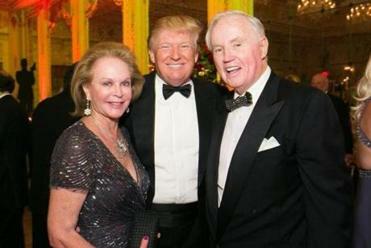 Trump bought the property for a fraction of its value in the 1980s, drew controversy when he turned it into an exclusive club, and will probably use it as something of a southern White House, as its builders originally intended. Like many of their neighbors, the Buffs have supported Trump, whom they’ve known for years, become members of his club, and even rented a home from him. But they and others who live on Woodbridge Road, which runs just north of Mar-a-Lago, insist he’s wrong about climate change. Trump’s staff didn’t respond to requests for comment, nor did officials at Mar-a-Lago. By rejecting the findings of climate scientists, as well as data from satellites, melting glaciers, and tide gauges around the world, Trump is taking risks that could endanger one of the crown jewels in his real estate portfolio, not to mention the planet, his neighbors said. “I don’t think he was given the information on the magnitude of the issue,” Buff said. Some neighbors agreed with Trump, while others, who worry about his views and their property values, were reluctant to speak about their concerns, for fear of publicly criticizing the president-elect. 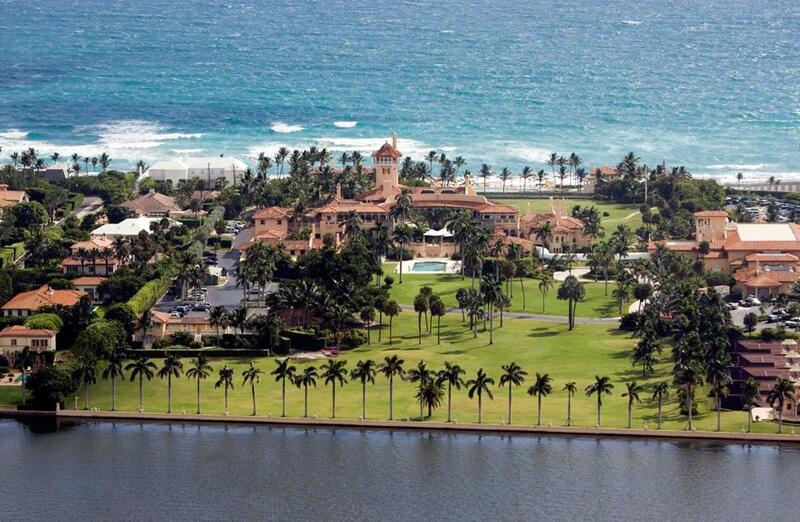 Mar-a-Lago, a 90-year-old National Historic Landmark now valued at $21 million, covers nearly 18 acres. At its lowest point near the saltwater lake, where so-called king tides already bring flooding, it’s just 4 feet above the water. As seas rise and storms strengthen in the coming decades, the risks to the estate’s cabanas, tennis and croquet courts, and ornate ballrooms are likely to only increase. Scientists say worst-case outcomes, such as their estimate of a 7-foot rise of the seas by century’s end, have become more likely with newer climate models, but could be avoided if the United States and other nations take strict measures to reduce carbon emissions. Increasing carbon pollution has been steadily warming the planet, and that heat has mainly been absorbed by the oceans, causing them to expand and rise, they say. The climate treaty signed in Paris in 2015 by the United States, China, and more than 190 other nations was meant to curb emissions and slow the rise in temperatures, which scientists say is responsible for producing 15 of the 16 warmest years on record since 2001. But Trump has said he’ll pull out of the agreement, even though the United States has been the world’s largest source of greenhouse gases for much of the past century. He has also vowed to rescind the Clean Power Plan, President Obama’s policy to reduce coal and oil emissions. Trump has backed those pledges by selecting Oklahoma Attorney General Scott Pruitt, a close ally of the fossil-fuel industry and leading opponent of the Clean Power Plan, as the next administrator of the Environmental Protection Agency, and Rex Tillerson, the chief executive of Exxon Mobil, as secretary of state. They asked him for a meeting, but he has yet to respond. One of those scientists, Harold Wanless, chairman of the geological sciences department at the University of Miami, has warned that current climate models substantially underestimate the likely sea level rise. They fail to take into account newer data, such as the accelerating melt of glaciers on Greenland and Antarctica, he said. He expects seas could rise so sharply by the middle of the century that banks might no longer issue mortgages for coastal properties or require such costly flood insurance that the region’s housing market would crash. Wanless and others noted that some parts of South Florida already experience major flooding during the highest tides, such as Miami Beach, which has invested $400 million to elevate roads, raise sea walls, and install pumps. Albert Hine, a professor of marine science at the University of South Florida in Tampa Bay, said that sea walls, pumps, and beach nourishment ultimately will be futile against rising seas on barriers islands like Palm Beach. George and Izabela Buff in front of their home on Woodbridge Road. Even if Trump built a walled moat around Mar-a-Lago, rising seas would submerge surrounding roads, flood sewage systems, and cut electricity and freshwater supplies, he said. “It’s unfortunate that the science has been politicized, but the truth is that the worst-case scenarios are getting worse — and more likely,” said Hine, lead author of the book “Sea Level Rise in Florida.” “For Mar-a-Lago, the best-case scenario might be that it becomes an island unto itself, like Mont Saint-Michel,” the island commune in Normandy, France, that is isolated from the mainland when the tides roll in. On Palm Beach, where the average price of a home is nearly $4 million, town officials say they’re more interested in solutions than ideological battles. The town has steadily added to its pumping capacity, prodded residents to raise their sea walls, and is studying ways to make the island more flood-resistant. Richard Kleid, president pro tem of the Town Council, said he’s very concerned about the rising seas, and hopes Trump gets the message. Of course, not everyone is convinced. 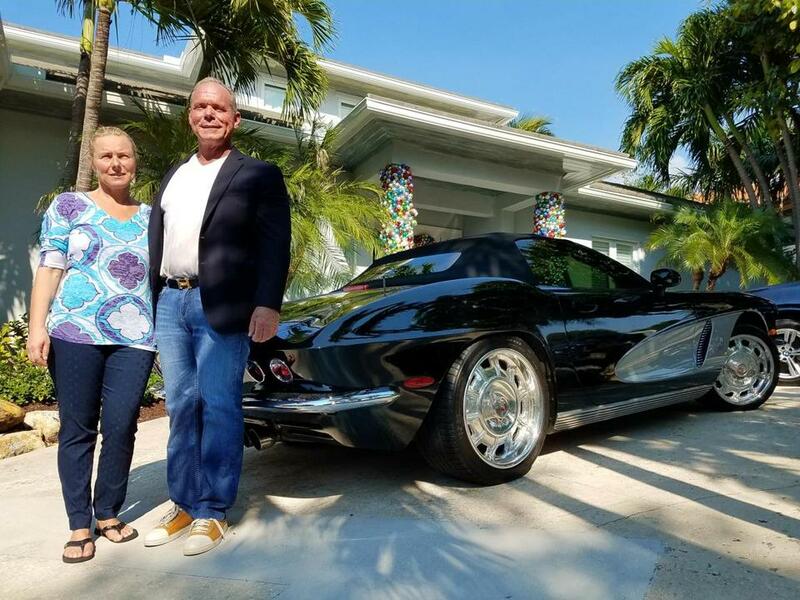 When Jim and Kim Williams rolled down Woodbridge Road in a convertible Rolls-Royce and pulled into the driveway of the home they’re renting from Trump, they said they weren’t concerned about climate change. “It hasn’t really crossed our minds,” said Jim Williams, 56, after his wife admonished a reporter for venturing too close to their gleaming car, noting it had just been washed. Across the street, Jim Grau, who built his mansion 15 years ago, pointed to its sturdy concrete foundation. As Gary Talarico and his son walked up the road toward the beach, the 75-foot-tall tower of Mar-a-Lago looming over the surrounding palm trees, they expressed hope that Trump listens to those who have spent their careers studying climate change. Failing that, they hope he considers the future of Mar-a-Lago — its aging frescoes, crystal chandeliers, elegant fountains — and what might happen to the property when his children inherit it. David Abel can be reached at dabel@globe-.com. Follow him on Twitter @davabel.